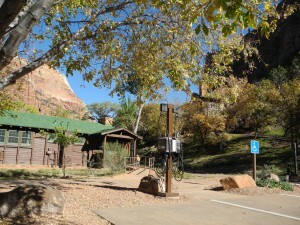 We recently installed Xanterra Park’s & Resort’s first guest facing Electric Vehicle Station at Zion National Park Lodge. 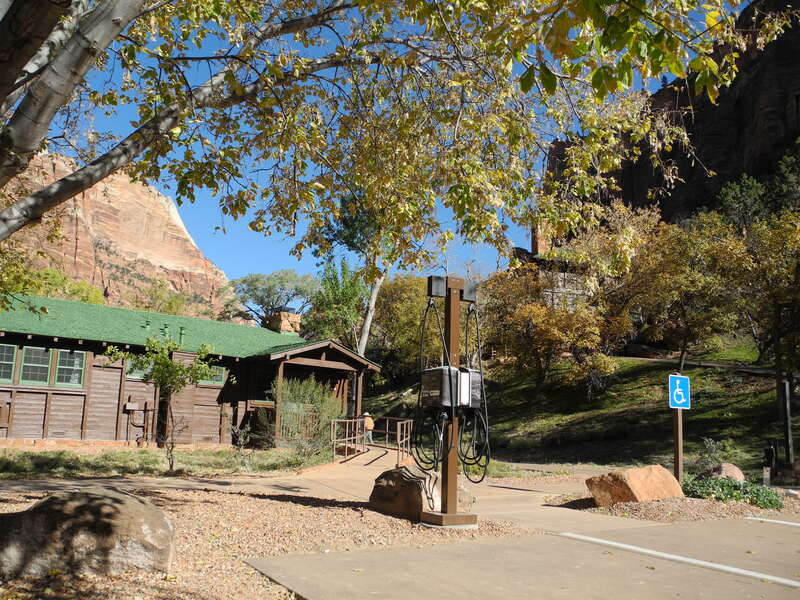 Now you and your car can both recharge your batteries at Zion National Park. 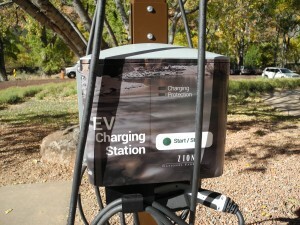 Recognizing how guests get to and enjoy the National Parks is changing with over 200,000 electric vehicles on the road today in the United States, we’ve recently installed two level 2 Clipper Creek Duel CS400 system, allowing guests to charge their vehicles during the day or during an overnight visit free of charge. For almost two decades, Xanterra’s sustainability initiatives have significantly reduced the company’s environmental footprint. This installation, along with other sustainability initiatives, provides nearly 20 million visitors annually to Xanterra’s operations a unique opportunity to join the Softer Footprint Journey.